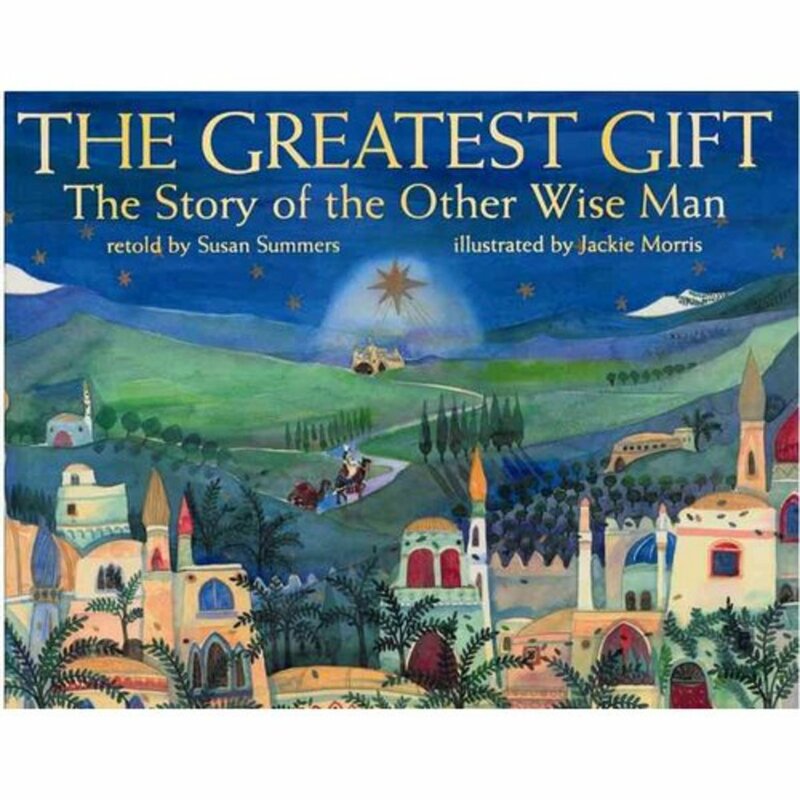 The Greatest Gift: The Story of the Otherwise Man was originally published under the title The Fourth Wise Man. This artistically rendered picture book is an adaptation of the well known book, the Story of the Other Wise Man by Henry Van Dyke. In 1896, an American pastor and poet named Henry Van Dyke captured the spirit of Christmas in one of America's enduring Christmas short stories, The Greatest Gift: The Story of the Other Wise Man. Author Susan Summers adapted this favorite tale and simplified it for modern audiences. Van Dyke's lengthy short story does not spare words and jumps to life with rich, dramatic imagery, moving scenes, and a quest-style plot featuring Artaban, a magi and follower of the Zoroastrian faith who is seeking the King of Heaven to be born on Earth. Artaban's sect looks for signs in the night sky, and its followers seek for wisdom. Van Dyke's story has inspired millions of people during the last 100 years with its message of giving service to the poor, the sick, and the downtrodden while sacrificing the very gifts Artaban meant to give to the living Christ at the end of his quest. Susan Summers' new picture book format uses jewel-toned images by artist Jackie Morris to turn this abridged tale into a keepsake picture book that can be read Christmas after Christmas. Summers' shortened version of the tale begins much like Van Dyke's original, but soon breaks off into a more modern retelling of Van Dyke's story, staying true to the original story's three-part quest format, but omitting superfluous details such as the lengthy meeting of the Zoroastrian elders who are deciding if they want to participate in a trip to visit the newborn King. This particular scene at the beginning of the story included a lot of dialog that didn't necessarily move the plot forward, so a reader of Summers' version of the story will not miss it. This book about the quest to find the true God is about a Zoroastrian astronomer, a wise man who studied the stars, named Artaban. Artaban's quest takes him on a journey that spans thirty three years. Artaban is man who has everything: a palatial home furnished in luxuries of every kind, an overflowing library, and an honored place in his religious sect. But Artaban and his friends have been watching the skies, and they know that the new star points to the birthplace of the King of the Heavens. Without hesitation, unlike the Rich Young Ruler in the New Testament tale, Artaban the Magi sells his magnificent palace and buys three priceless jewels to give to the newborn King. He sets off on a journey to meet up with his three friends who are planning to go and worship. 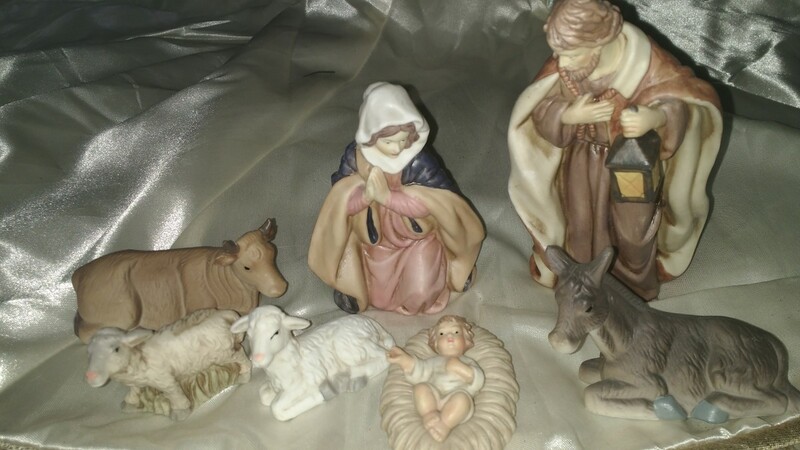 But Artaban is delayed on three different ocassions so that first, he misses the other three wise men, and then he just misses the Christ child in Bethlehem, and finally, after years of searching for Christ, misses his one last chance to see Him in Jerusalem. During each pivotal turn in the story, Artaban must decide whether to give away a precious jewel to help a person in grave danger, or to hold on to the gem to give to Christ later. Any good student of the Christian faith knows that Artaban chooses to help a fellow being who is suffering rather than hold back. At the end of the story, Artaban is bereft knowing that he has failed in his quest to meet the King of Heaven and to give him his greatest treasures. least of these my brethren, thou hast done it unto me." His journey was ended. His treasures were accepted. The Other Wise Man had found the King. 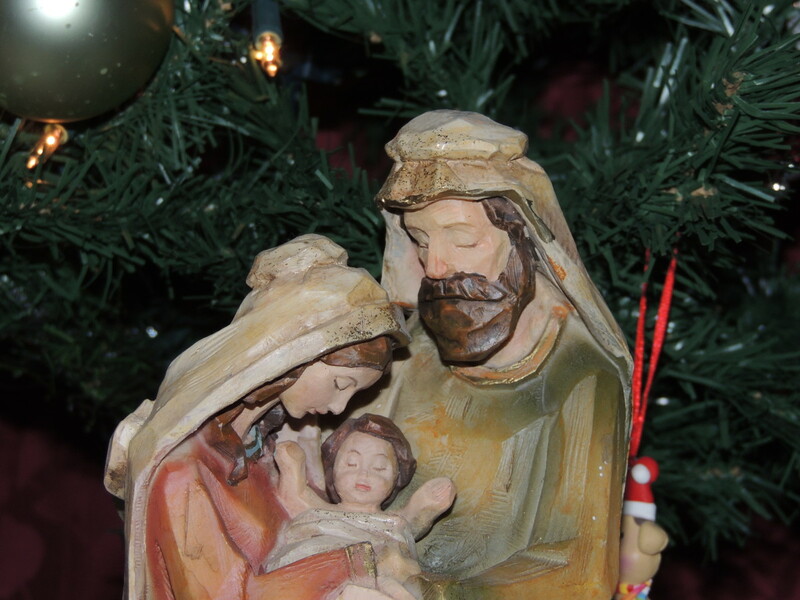 The Fourth Wise man makes many obvious allusions to Biblical passages of scripture. While the story itself is a fictional work and not based on a scriptural account, the story places its characters right in the middle of the New Testament action. 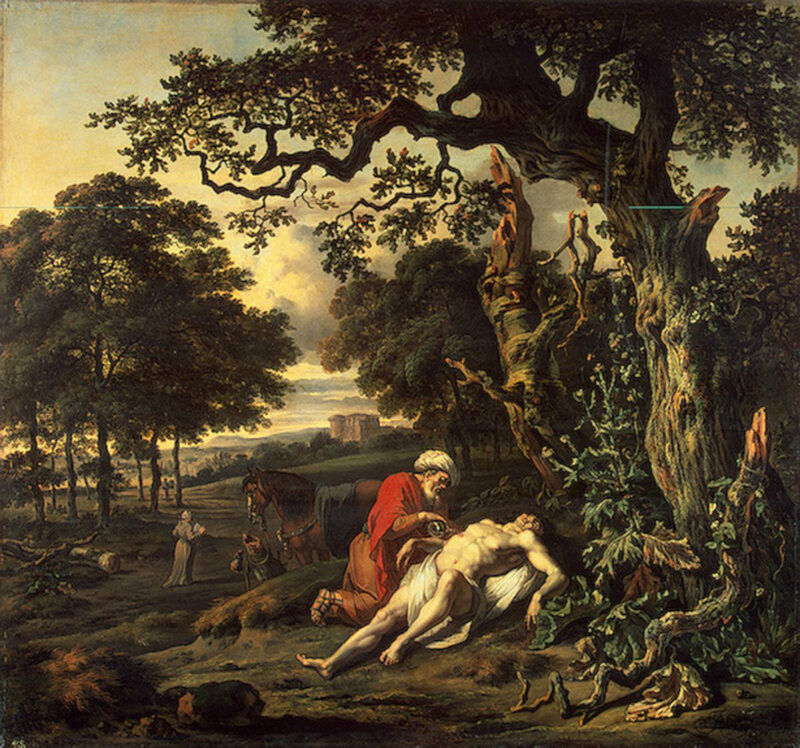 Like the parable of the Good Samaritan in Luke 10, Artaban attends to a sick man who needs his help. Artaban comes to this man's aid on the roadside, then gives the man one of his precious jewels. When Artaban finally enters the streets of Bethlehem, he discovers that the newborn King's family have fled to Egypt. Then Artaban remains in Bethlehem when King Herod's army comes in to slaughter all the first born children. This story can be found in the Bible in Matthew 2. 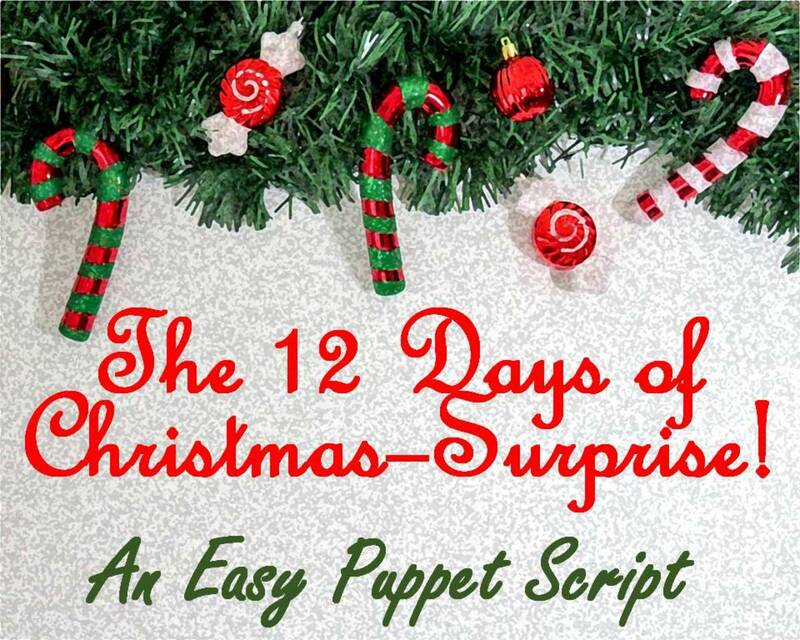 Artaban's quest to find Christ begins as a simple Nativity story but becomes much more. Its message suggests that in seeking out Christ and giving service and sacrifice, Artaban receives a much greater gift than he could ever give. 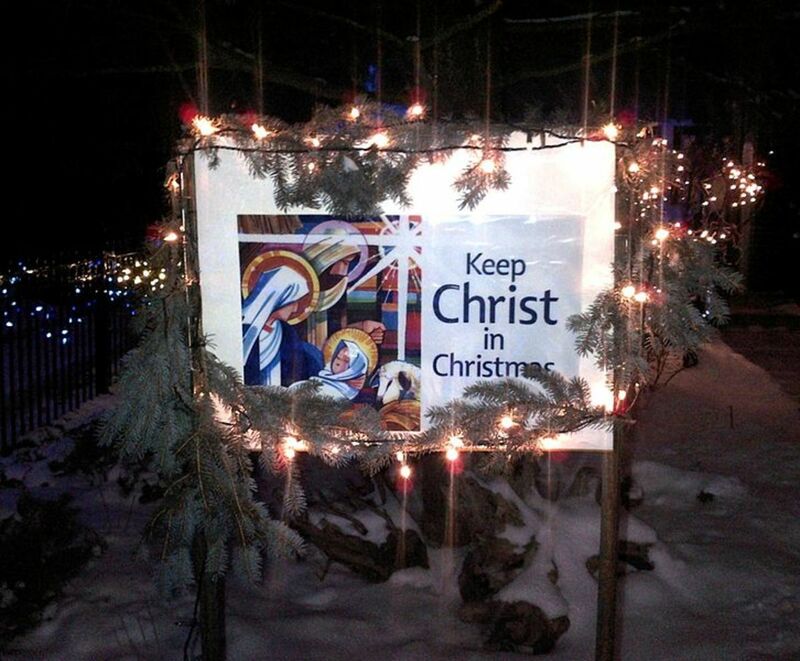 This message of selfless giving fits perfectly with a Christ-centered Christmas. This book has so much to offer a family seeking to keep their Christmas focused on the Savior. I listened with 30 young children last year as a fellow teacher in our children's Sunday School related this story as part of a special Christmas lesson. As she told the story of Artaban and his three-part quest, you could have heard a pin drop in a room full of children ages 3 to 8. This story truly has an ageless appeal, and would be a welcome addition to a family gathering or a church setting. 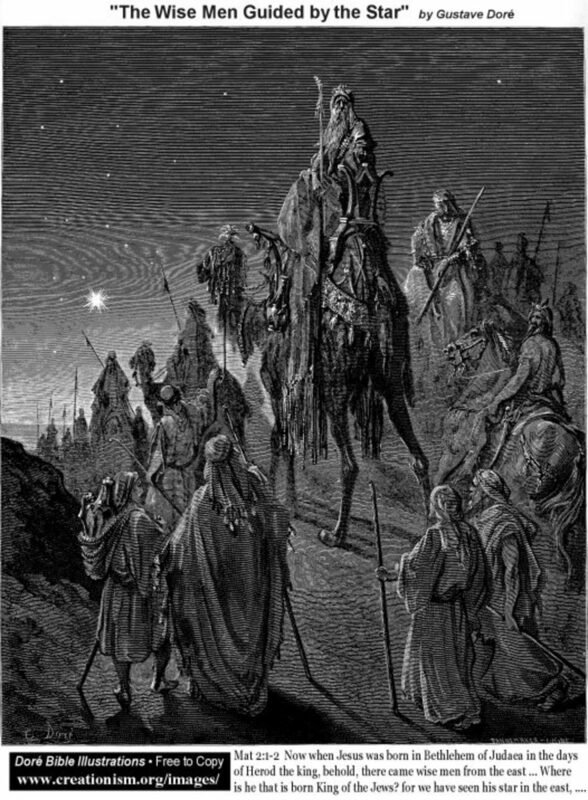 G. Dore image of the Wise Men. Henry Van Dyke, the original author of this story, wrote The Other Wise Man in 1896. Over 100 years later, Susan Summers adapted the Van Dyke version to a picture book format. Summers collaborated with Jackie Morris, whose watercolors depict the ancient Holy Lands with jewel-toned blues and greens, and deep royal reds. 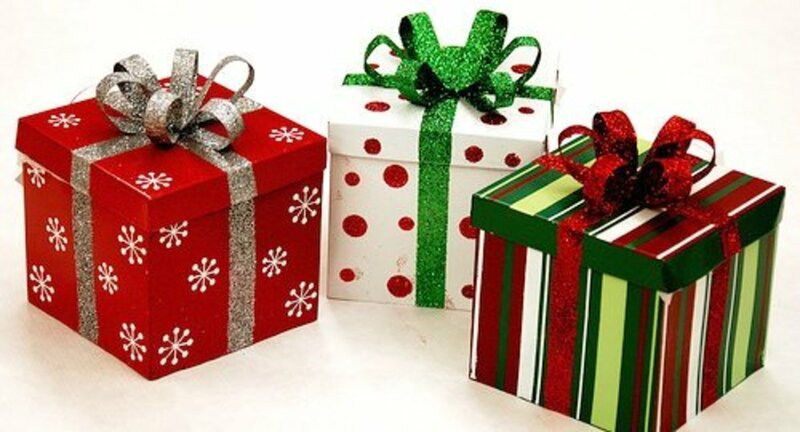 The Greatest Gift alludes to parables in the new testament about living a Christian life. Rick that is a fantastic achievement. Congrats! Hope your holiday is filled with cheer! WBW: Great guides to holiday reading! Thanks. I am also celebrating reaching my 500th Hub with a special holiday greeting to my followers! May this Festive Season bring you Warmth, Friendship and Happiness, no matter when or how or with whom you celebrate! To add to your holiday merriment, I offer all of my hubs devoted to this time of year: All About Santa; The Polar Bear; Kris Kringle, the College Years; An Alphabetical Christmas; All About the North Pole; Enjoy Reindeer; and, of course, Little-Known Santas No. 1 through No. 17! Enjoy! Thanks you two, I hope you enjoy them! It sounds a lovely story and thank you for pointing it out to us.